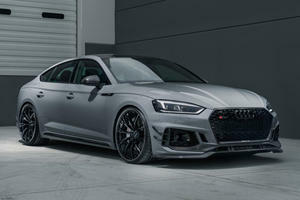 The Audi RS5 is Audi’s range-topping model and for the 2019 model year can now be had in the new four-door Sportback body style. 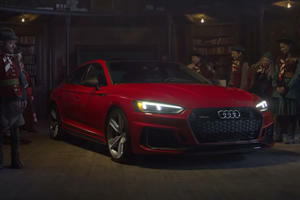 The second-generation RS5 is powered by a twin-turbo 2.9-liter V6, producing 444 horsepower and 443 lb-ft of torque sent to all four wheels through an eight-speed automatic transmission. It offers strong acceleration, especially in the midrange and offers sure-footed handling but lacks a bit of the top end excitement of the older naturally aspirated V8 car. Befitting its RS status, it comes very well-equipped with standard LED headlights, keyless entry and ignition, 10-speaker sound system and an 8.3-inch infotainment system incorporating navigation. Safety is also a top priority with blind-spot monitoring, forward collision alert and cross-traffic alert all as standard. 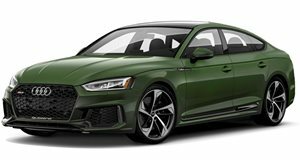 Available options include 20-inch wheels a Bang & Olufsen sound system and an RS Driver Assistance Package which adds adaptive cruise control, auto high beam control and a lane-keeping system. 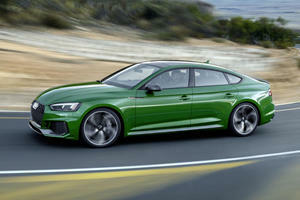 Pricing starts at $74,200 MSRP before options.